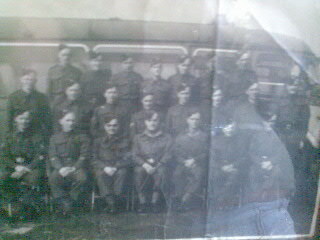 Photo of John Frederick Fell and his Warwickshire Home Guard Company kindly donated by Carol Morton. Furthur information on this Company would be much appreciated. If you have any home guard memories, photos or memorabilia you would like me to add to this site please contact me. Based on contemporary archive materials and personal accounts, Brian Osborne examines the human story of the Home Guard in Scotland and the impact that this remarkable organisation had on society and on those that became involved with it. The Home Guard, and its forerunner the Local Defence Volunteers, was genuinely a 'people's army' with its own ethos, character and political influence. At its peak nearly 2 million men were enrolled, trained and served without pay in their own time and, usually, after a full day's work at the civilian occupation. The Home Guard played a vital part in the defence of the country from 1940-1944, but despite its significance the story of the Home Guard in Scotland has never before been fully told - from Shetland to Galloway, Scottish Home Guardsmen fulfilled a wide range of roles far beyond the popular image of the 'Dad's Army' of general service infantry battalions. 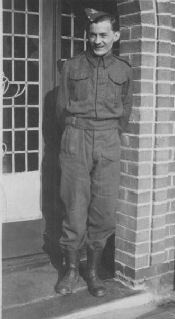 Horseback patrols in the Borders, armoured trains, anti-aircraft gunners at factories throughout Scotland, anti-aircraft rocket batteries from Aberdeen to Greenock all saw the Home Guard actively engaged in the national struggle.